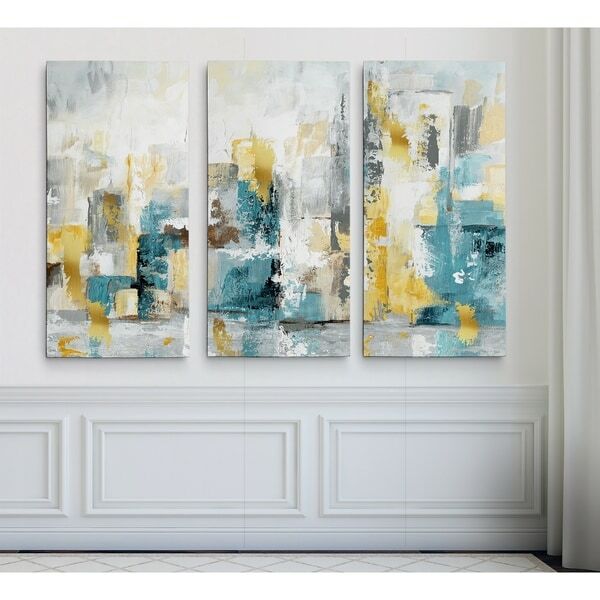 City Views I -Gallery Wrapped Multi Piece Canvas A premium hand wrapped Giclee canvas. 100-percent Created to last. Individually hand wrapped to very high standards. Printed and inspected one at a time utilizing the latest archival UltraChrome Giclee inks Available in 3 sizes for you to choose from 24"X36" TOTAL SIZE - Consisting of 3 Total Panels Each measuring 12"x24" x1.5" deep 32"X48" TOTAL SIZE - Consisting of 3 Total Panels Each measuring 16"x32" x1.5" deep 40"X60" TOTAL SIZE - Consisting of 3 Total Panels Each measuring 20"x40" x1.5" deep Each piece includes hanging accessories and is ready to hang. You need only to apply an anchor to the wall of your choice. Dimensions 32.0 In. X 48.0 In. X 2.0 In. Happy with this canvas print. I had it framed, and it looks like it’s worth 5x more than I spent on it. Happy with the colors and quality. A great pop of color!! 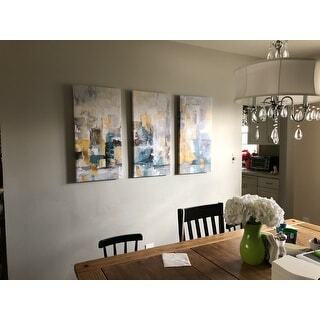 I’ve been looking for artwork that would give a pop of color to my very neutral living room, but that was also big enough for this huge wall. I looked at countless pieces of artwork and finally found this canvas art. It also doesn’t hurt that it was a great price for the size. I would highly recommend. The idea of a tryptic is great when decorating a large space. OK for the price and the size. The colors are bright which makes it's placement a bit challenging. I really like these pictures. They compliment my decor perfectly. Shipment took longer than expected but it was worth the wait. 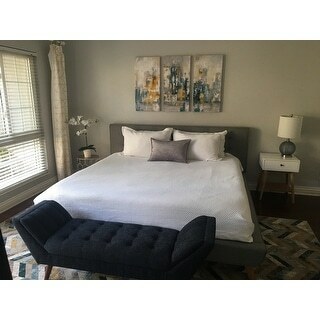 I shopped around for the best price and decided to order from Overstock. 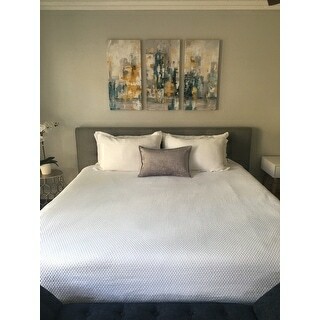 Absolutely loved it and looks great with my room. Super lite in weight and were easy to hang. These are true to the colors on the website and they're pretty sturdy. They're a tiny bit pixelated when you get up close, and I wish they had some true texture, but they're good for the price. Love the painting but thought it had real brush strokes/texture to you. It still goes perfectly with my decor. Love the colors! This is very eye catching! "How far apart should the panels be hung?" "Is this a set of 3?" Yes, this is a set of 3. I love the colors on the canvas. 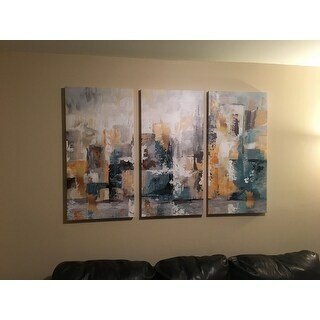 It had great review I love the colors and think it will go great in my living room.